Reebok Men’s Performance 5-Pack T-Shirt Just $30! Down From $89.97! PLUS FREE Shipping! 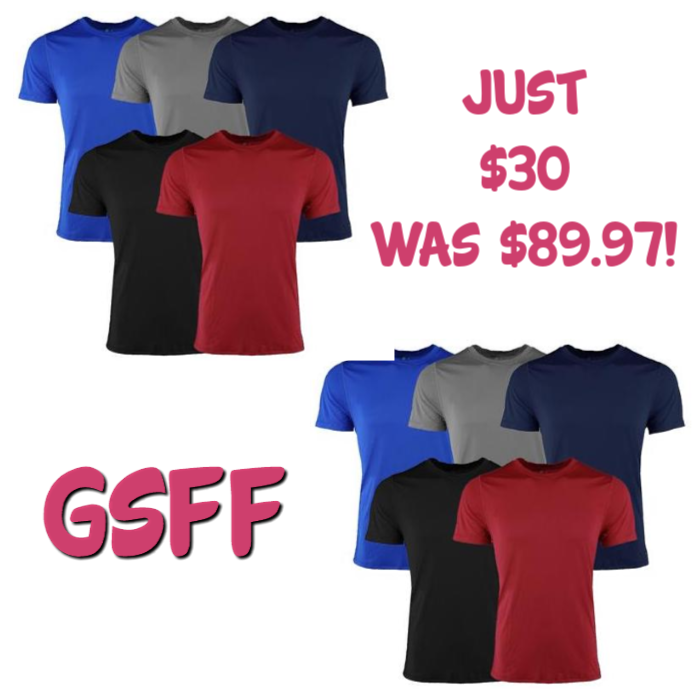 You are here: Home / Great Deals / Reebok Men’s Performance 5-Pack T-Shirt Just $30! Down From $89.97! PLUS FREE Shipping! Hurry and score this Reebok Men’s Performance 5-Pack S/S Crew T-Shirt which is on sale at Proozy for only $30, down from $89.97, if you use the code PZY30. PLUS, FREE shipping!